Lee Charles Landscapes are Block Paving Specialists in and around the Emerson Park area. 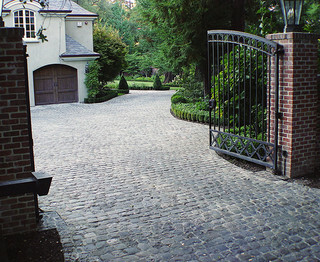 We have been installing Block Paving Driveways since the early days when it was first introduced. Our installations are all backed with our company guarantee and are made to last the duration. We don’t cut any corners when it comes to the installation of any type of Block Paving we provide. This gives us the opportunity to extend our guarantees past the normal time span that most other companies provide. Emerson Park is situated in the area of Hornchurch in Essex. We at Lee Charles Landscapes are constantly improving the Landscapes of properties which include the installations of new Block Paving Driveways. You can take a look at our products page by clicking Here. Block Paving Emerson Park installers. Lee Charles Landscapes understand that you may have problems with your current Block Paving that has been installed by another contractor. This maybe because the contractor is either difficult to contact or is not willing to return to site to rectify the problem. Either way we would be happy to resolve any problems or difficulties you have. You see our input into the Block Paving installations we provide exceed the recommended depths of the preparation stage. This is why we offer a longer guarantee to our work. Our work ethic is ” If the preparation isn’t done correctly, then there is no point in completing the job“. Here below are a few pictures of a BLOCK PAVING DRIVEWAY in EMERSON PARK completed by Lee Charles Landscapes. This client chose to have Alpha Antique Block Paving. The Blocks have a distressed aged look about them that blends well with most surroundings. They are a popular choice amongst the Block Paving range. Lee Charles Landscapes are the complete Paving Specialists covering Emerson Park amongst all the surrounding areas nearby. We are based in the Borough of Havering in Essex but we do travel all over Kent and London.